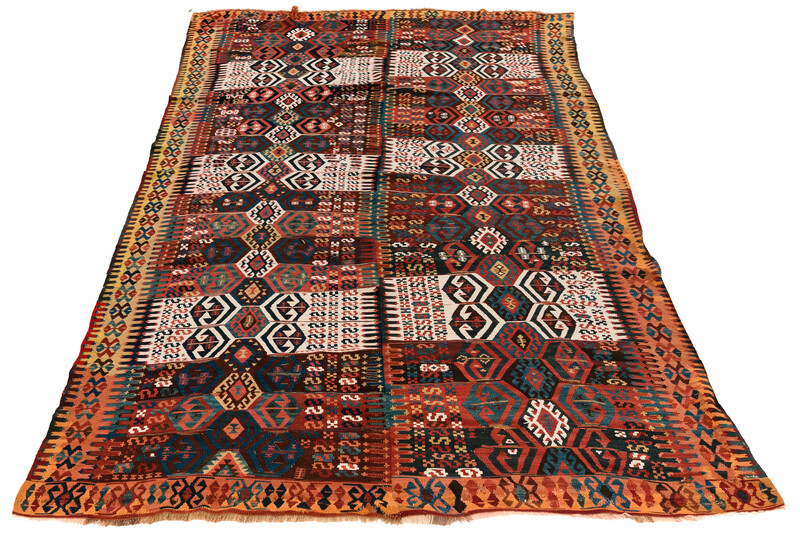 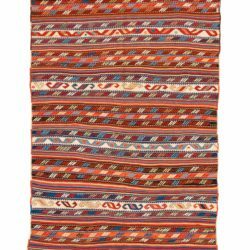 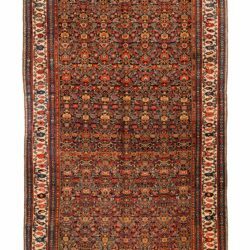 Joseph W. Fell Collection / Antique Turkish Kilim 6'2"×10'5"
This antique Turkish kilim reflects the excellent history of carpetmaking in Turkey. 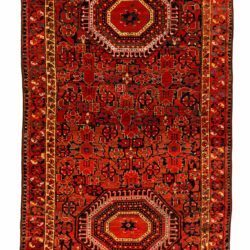 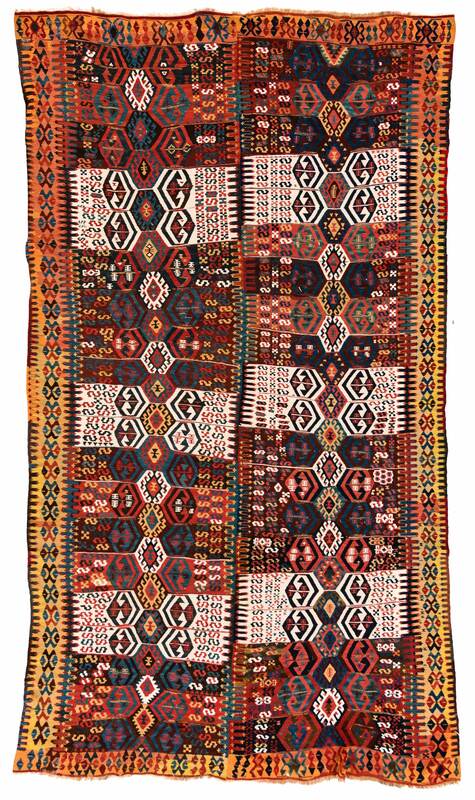 Kilims from this era were often contructed by groups of weavers working on sections of the carpet individually that was then worked together to form the final product, hence the patchwork appearance. 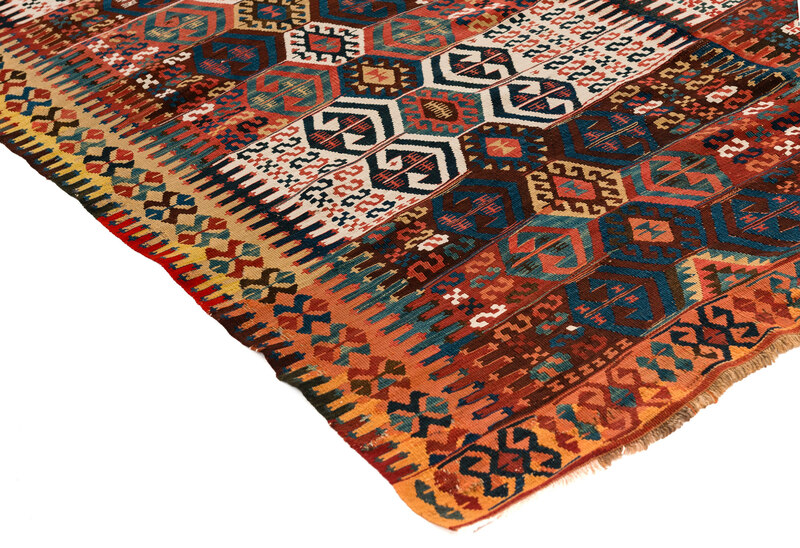 The design is dominated by a repeating pattern of decorative geometric figures in multiple colors.